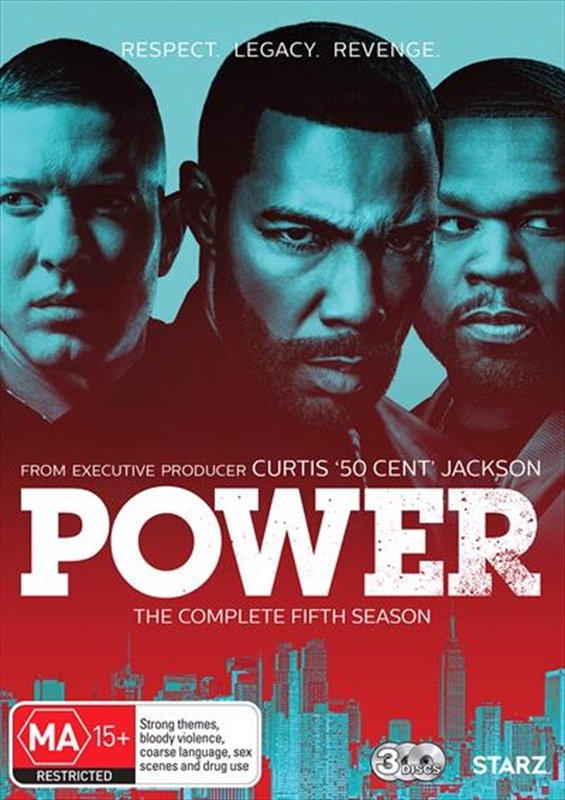 From Executive Producer Curtis 50 Cent Jackson and Show Creator Courtney Kemp (The Good Wife) comes Season 5 of the hit drama Power.Season 5 picks up with James Ghost St. Patrick in a dangerous alliance with his former drug partner and brother-in-arms Tommy Egan and mortal enemy Kanan Stark. As Ghost mourns the death of his daughter Raina, he searches for vengeance and throws himself into his work, reaching new professional heights. But with this newfound publicity, his quest for blood threatens to dismantle his legitimate legacy. Ghost is blind to new enemies and, as the Feds grow closer to unmasking his true identity, Ghost must remain vigilant toward those wanting to take him down for his past criminal enterprises.